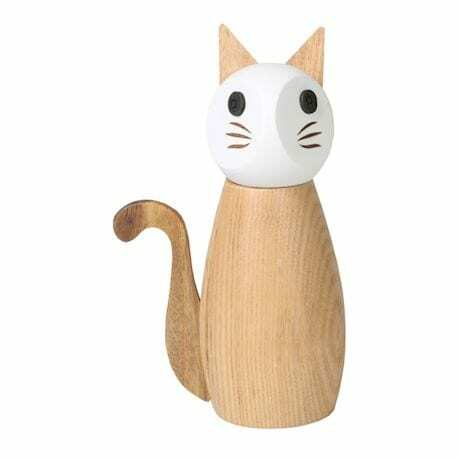 This charming wooden cat is more than just a pretty face. 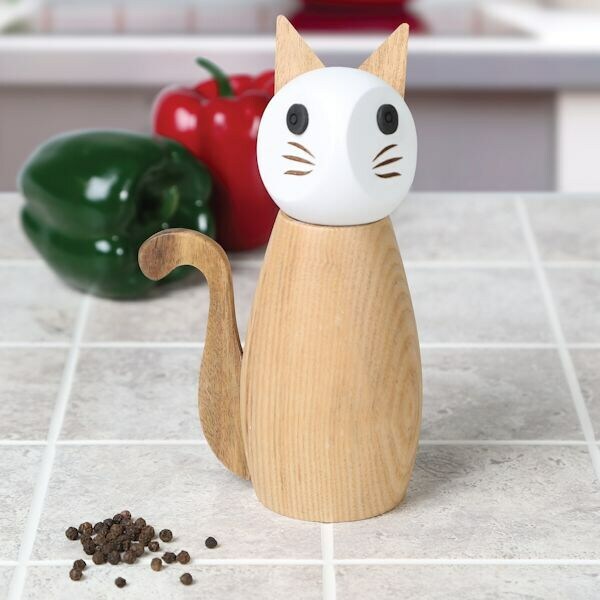 A twist of the head reveals its function as a salt or pepper grinder. Made of wood with ceramic and metal parts. 6¾"H. We recommend washing by hand.